Pressure Treated Lumber is a Southern Pine mix of wood, treated under pressure with chemicals that prevent insects, such as termites, and rot from destroying the lumber, but these same chemicals along with moisture, or water will attack most metals. 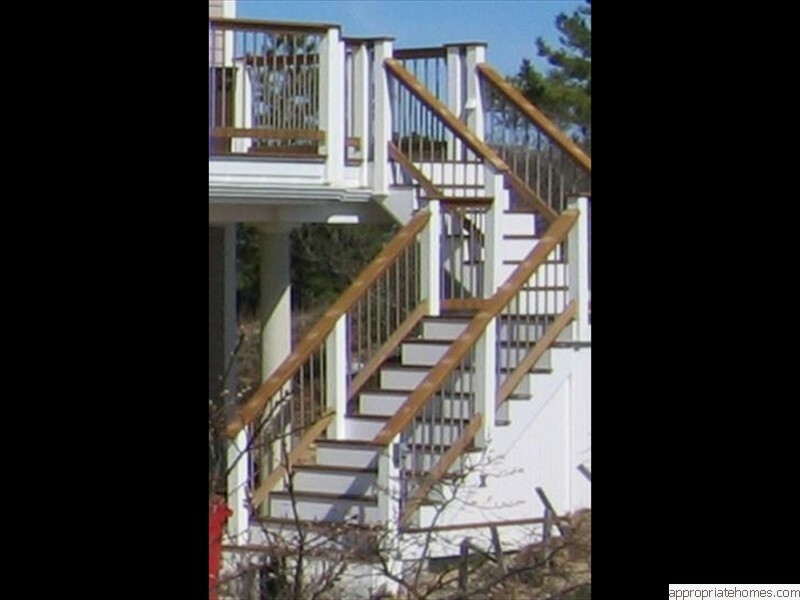 We specify and use only approved metals for your deck hardware if it is effected by Pressure Treated chemicals. 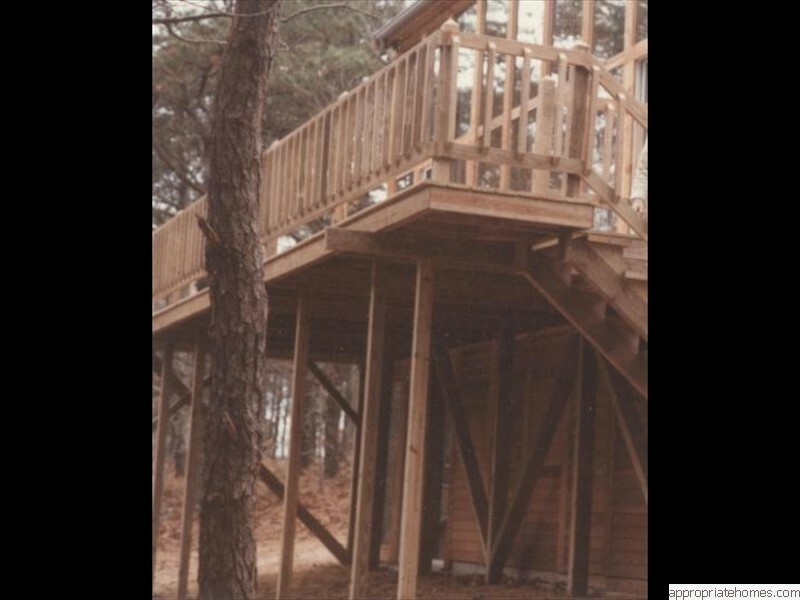 We always use Pressure Treated lumber for your deck framing. 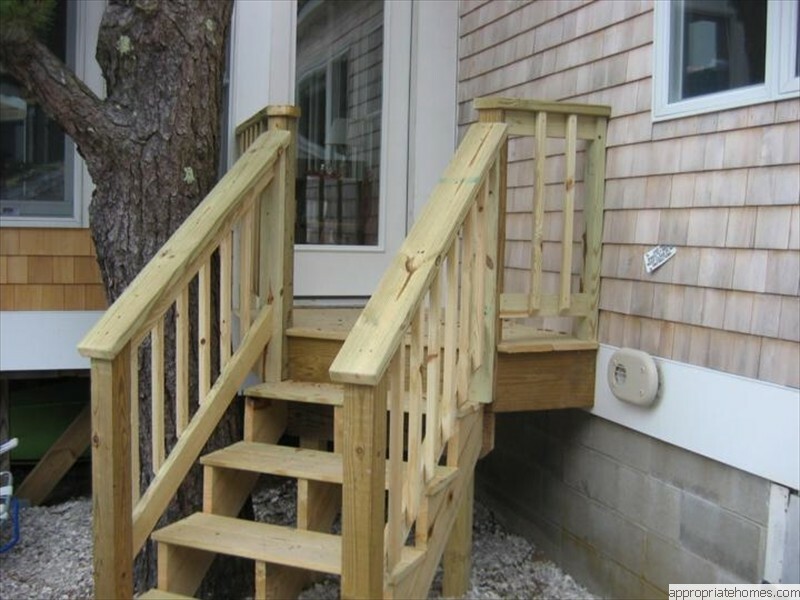 Pressure Treated Lumber is the least expensive and most commonly used decking and railing choice. It is naturally strong, and easy to install. 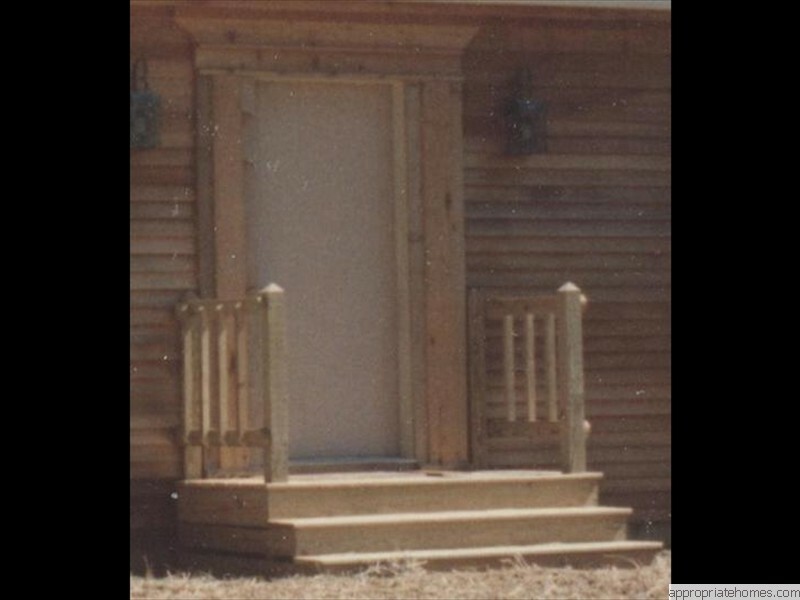 Pressure Treated lumber weathers gray. 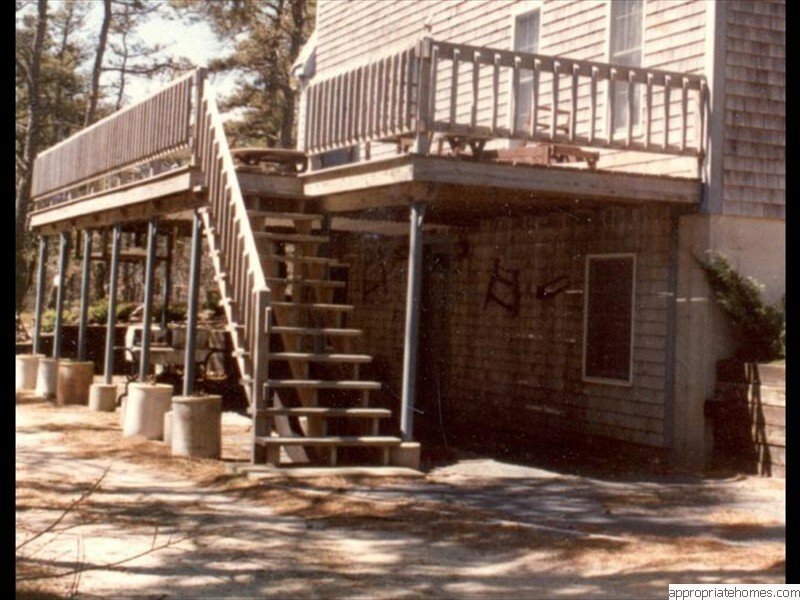 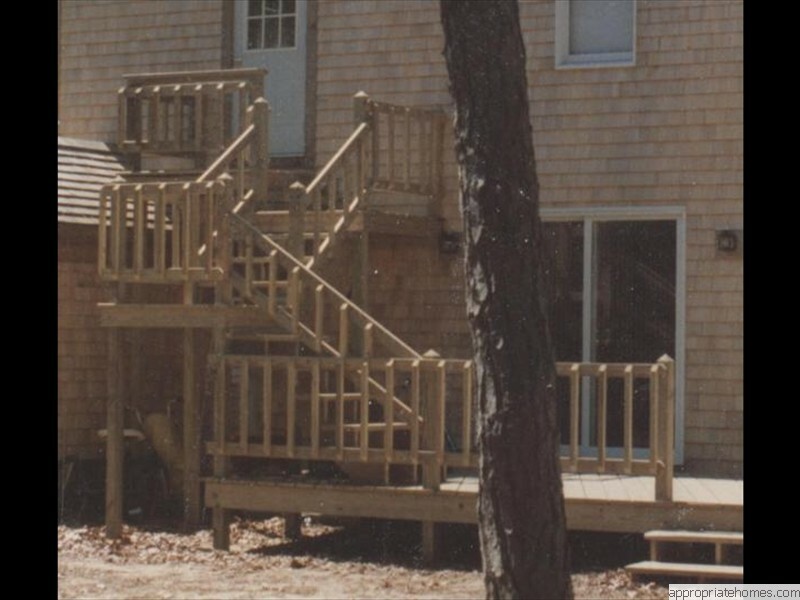 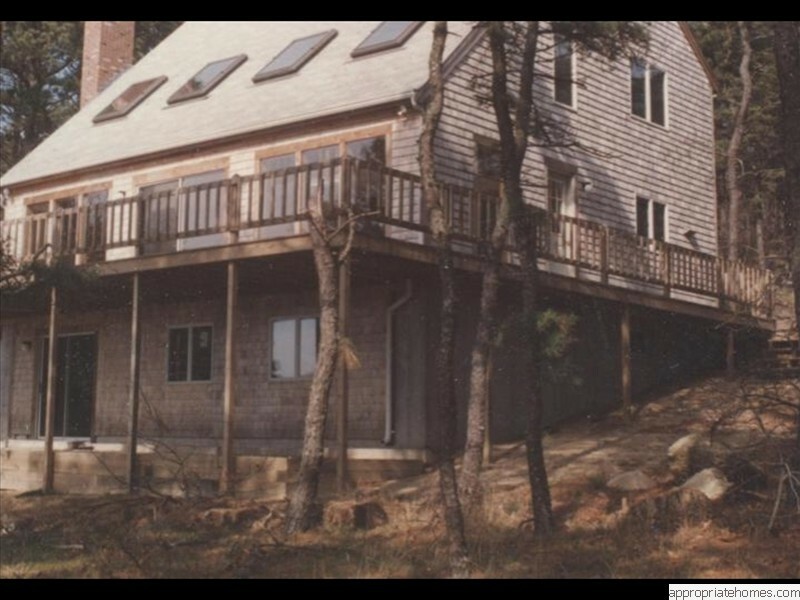 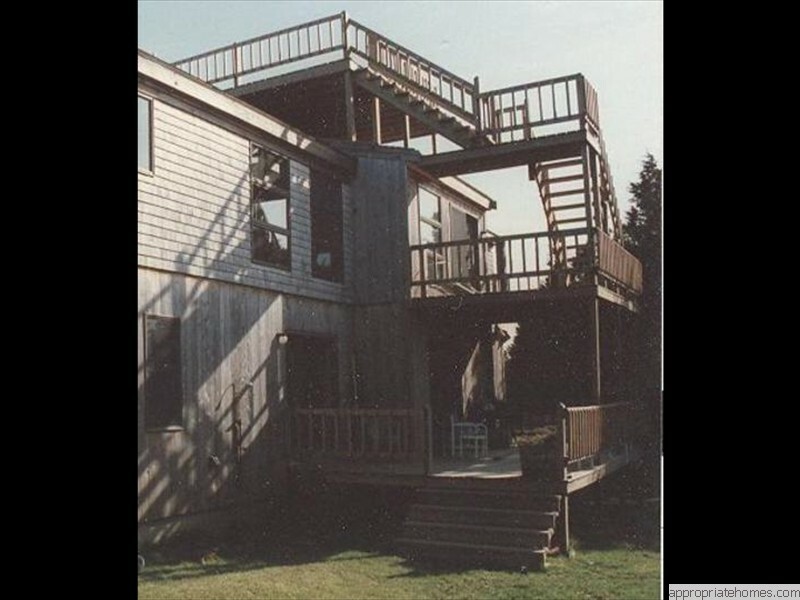 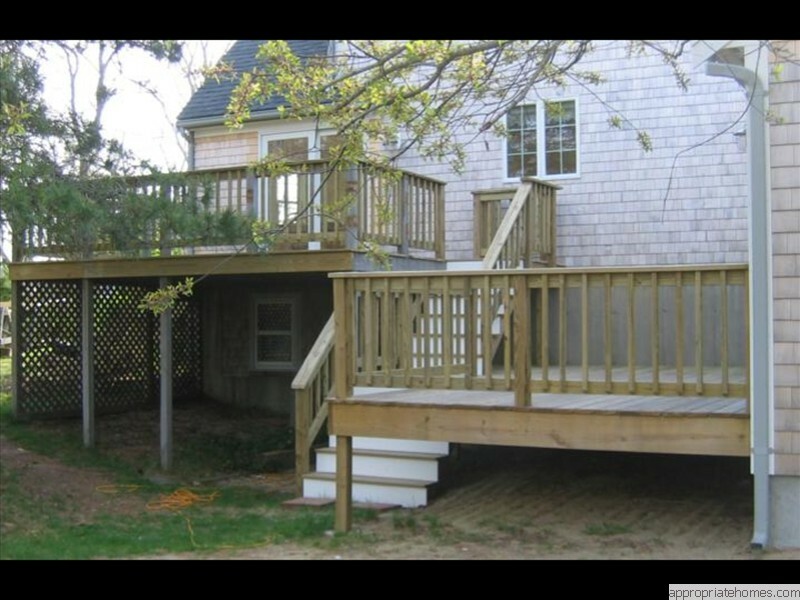 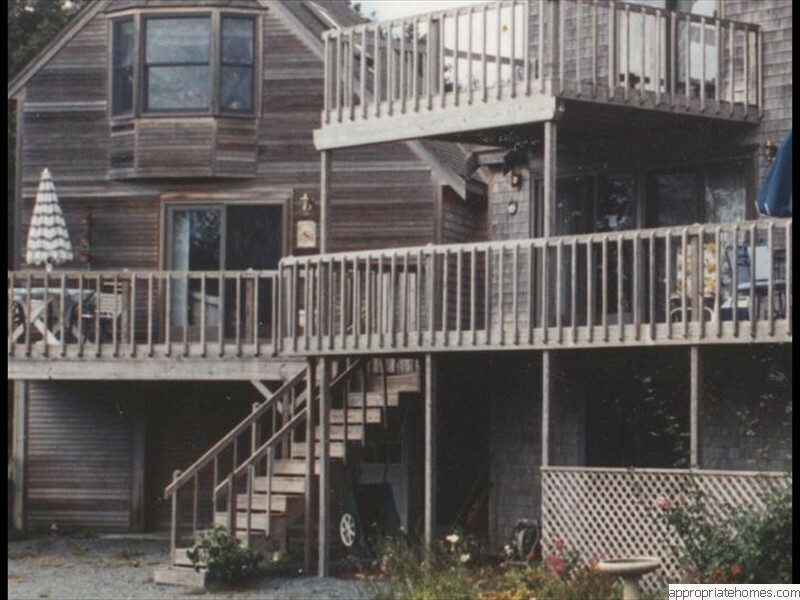 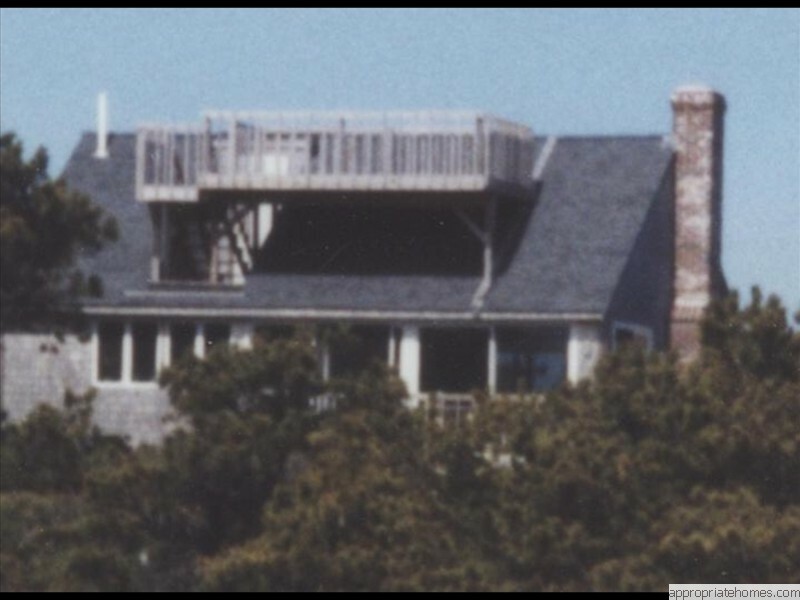 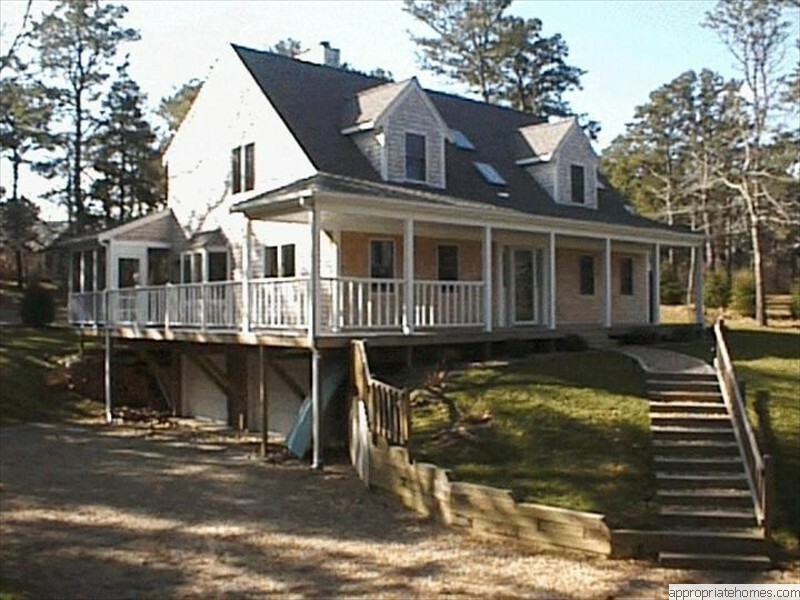 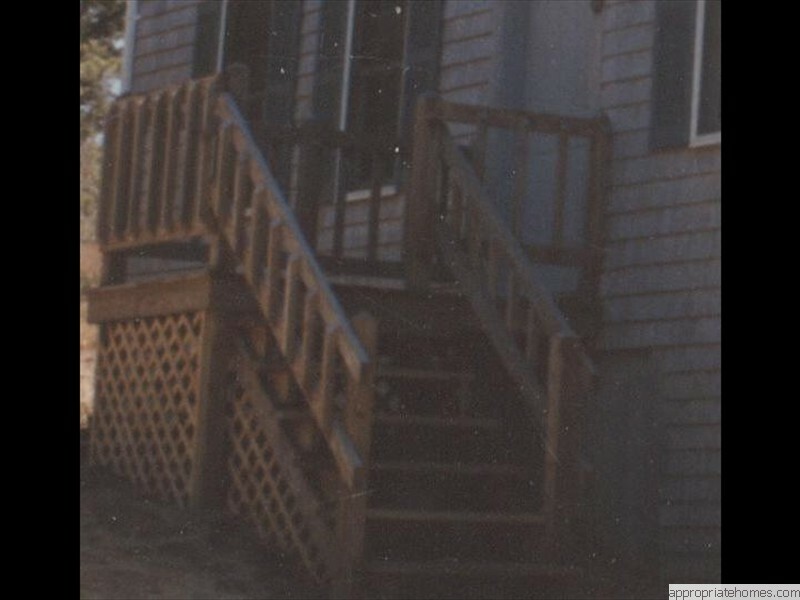 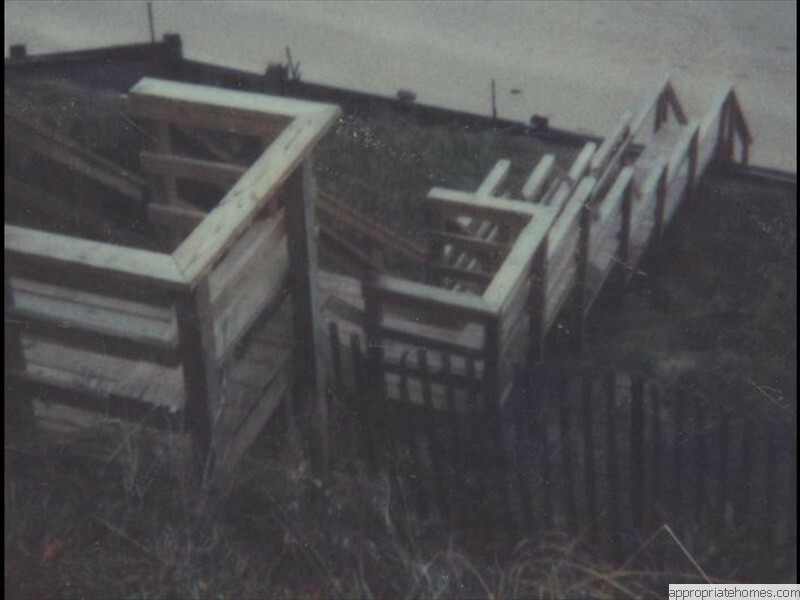 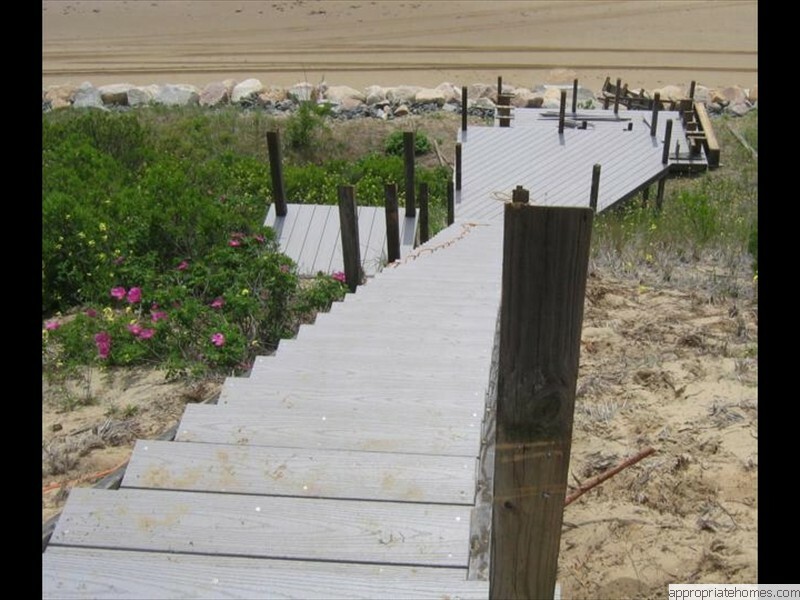 We recommend finishing Pressure Treated decking and railing to help prevent and slow down spliting and splintering which can occur over time in the challenging Cape Cod weather. 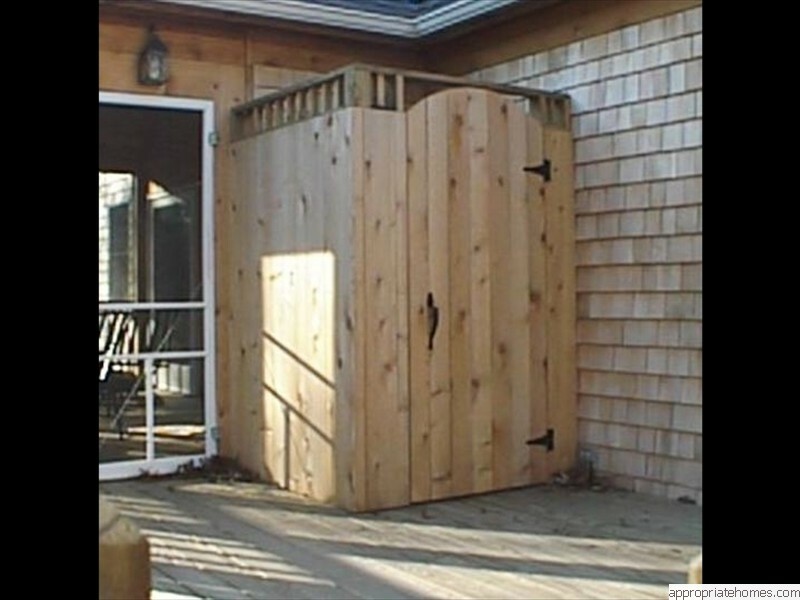 Cedar contains natural defences against rot and insects which helps the cedar when used as decking to last about 20 years, but it is soft and may damage with foot traffic. It is great when used for railings and trim. 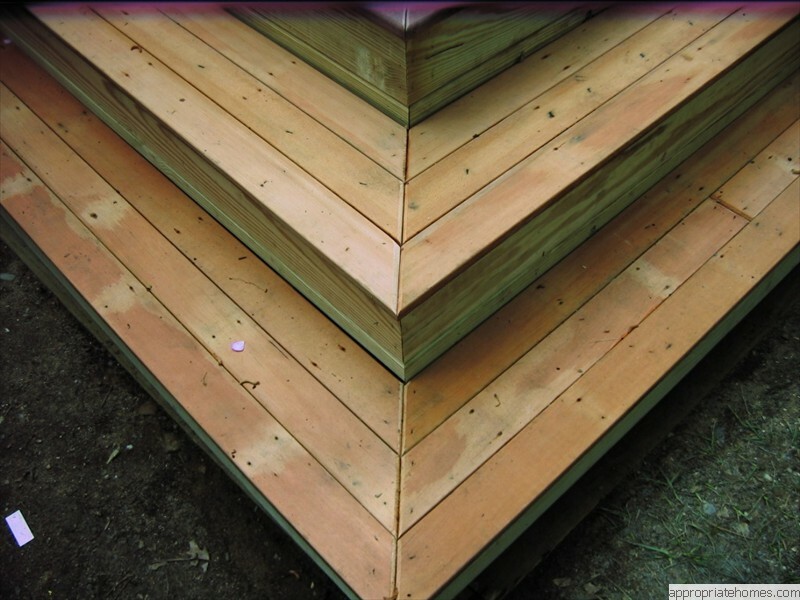 Cedar is the most beautiful of all the deck materials, easy to work with and finish. 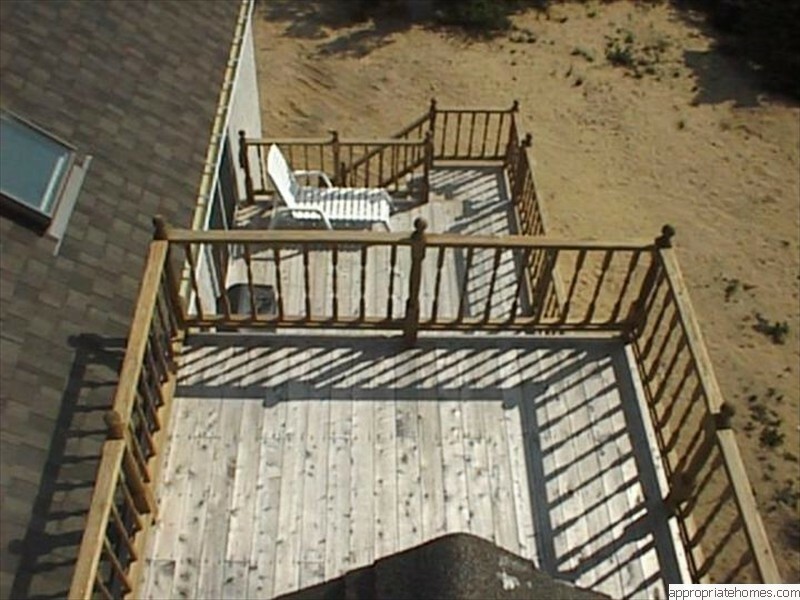 Will turn gray when left to weather. Price varies from inexpensive for STK grade to expensive for clear. 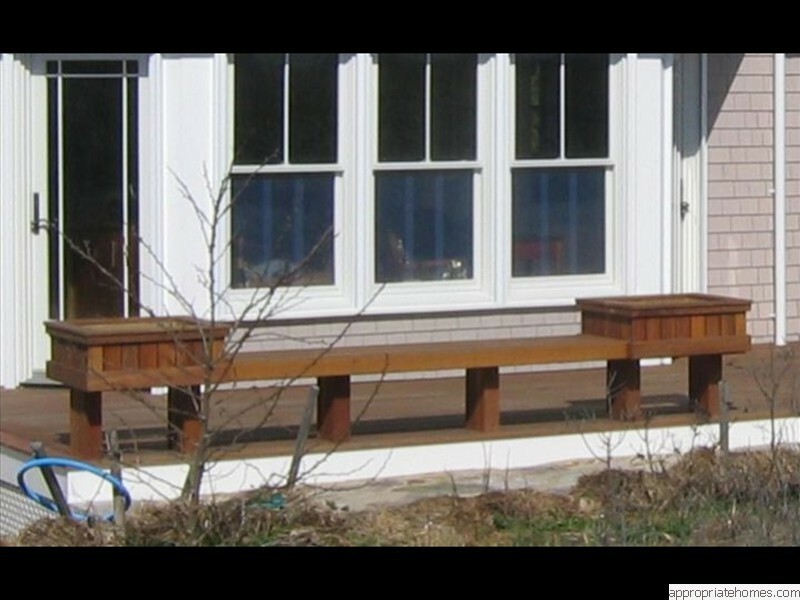 We recommend deck surfaces to be finished, but rails, trim and accessories can naturally weather. 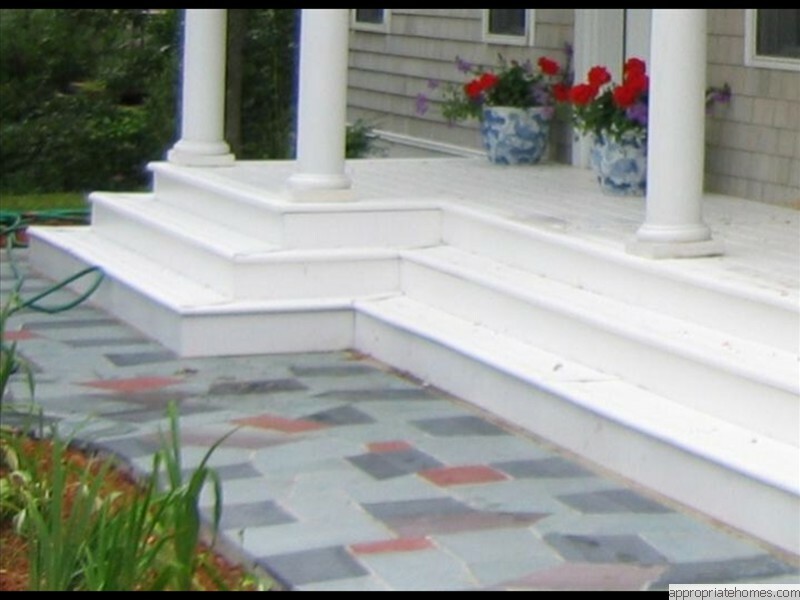 Composite materials are made by combining a blend of plastic and waste wood fibers. The boards won't splinter, split, and don't need to be stained when used as decking or railings. 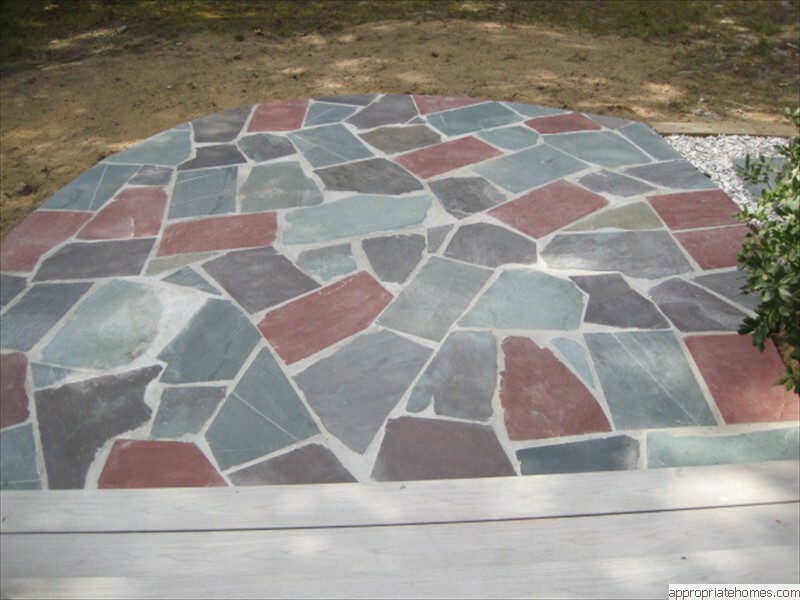 Yet composites are more expensive and should be cleaned regularly to prevent mildew. 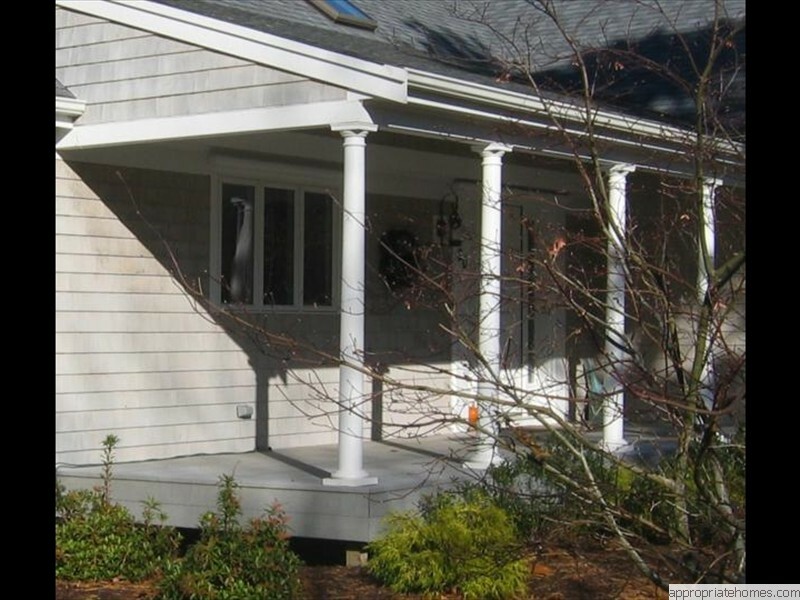 Composites move more in response to temperature change. 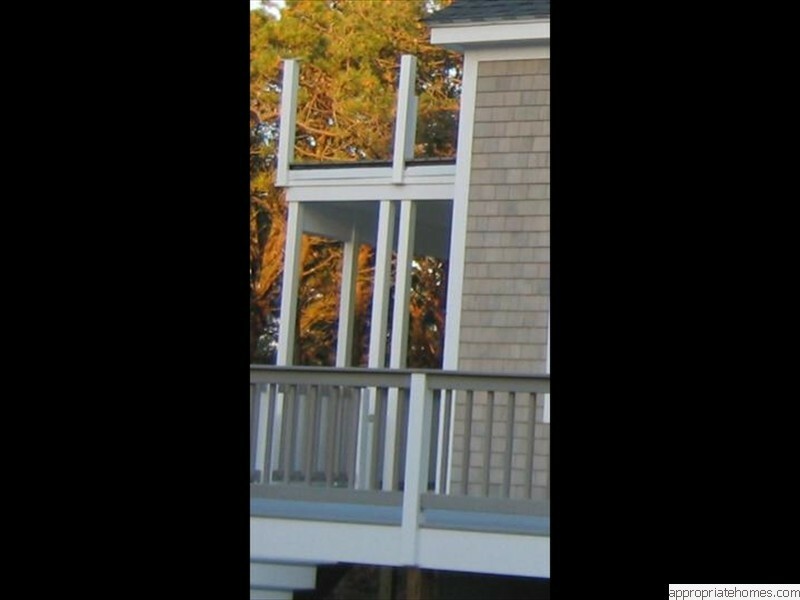 We use 12" framing centers even though the manufactures claim 16" centers are enough. 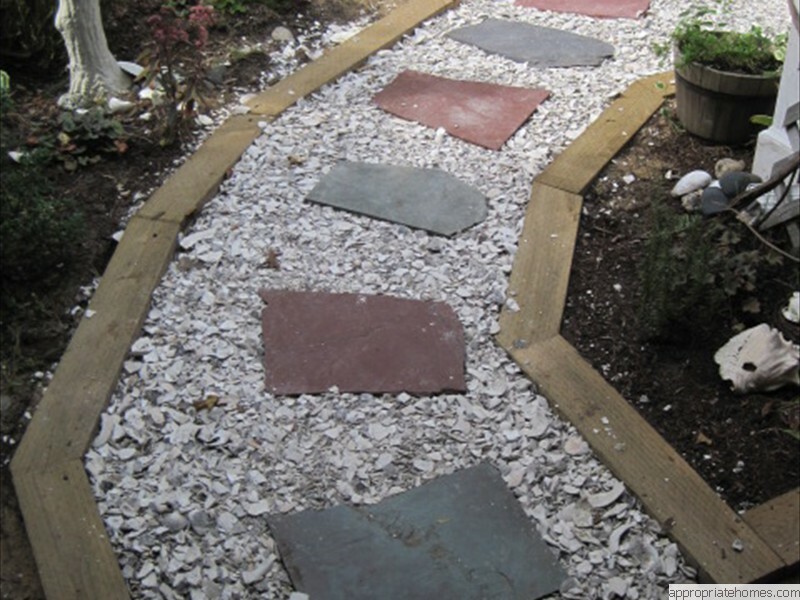 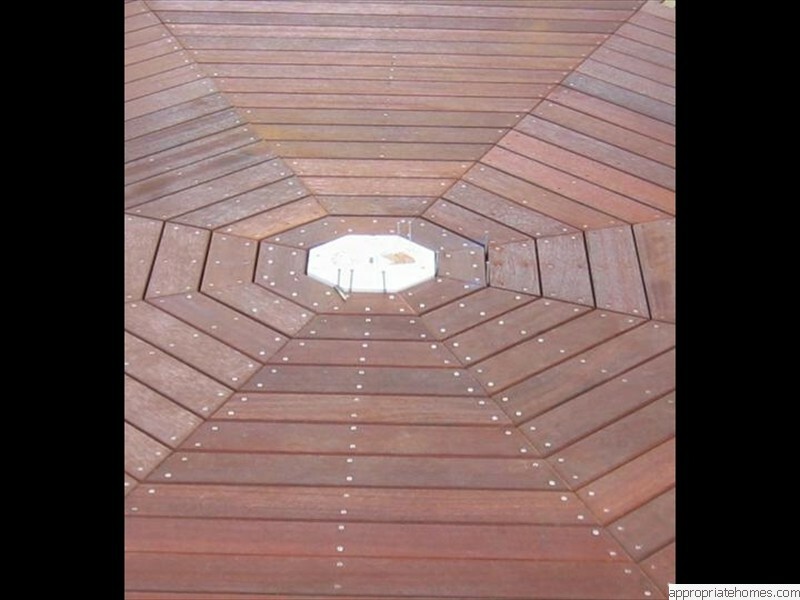 This helps to eliminate the deflection in the decking boards. 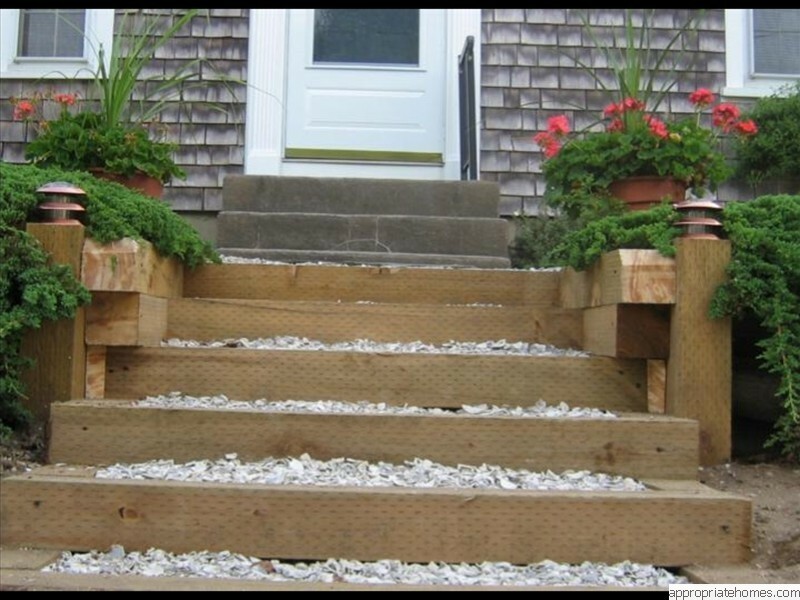 Hidden fasteners are available for some decking systems. 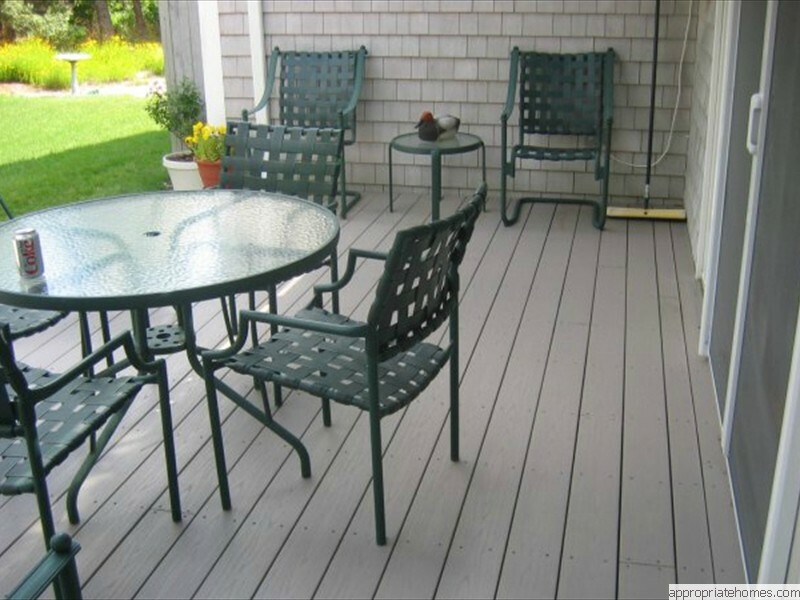 Embossed wood grain surface and a variety of colors of composite decking have a very nice appearance. 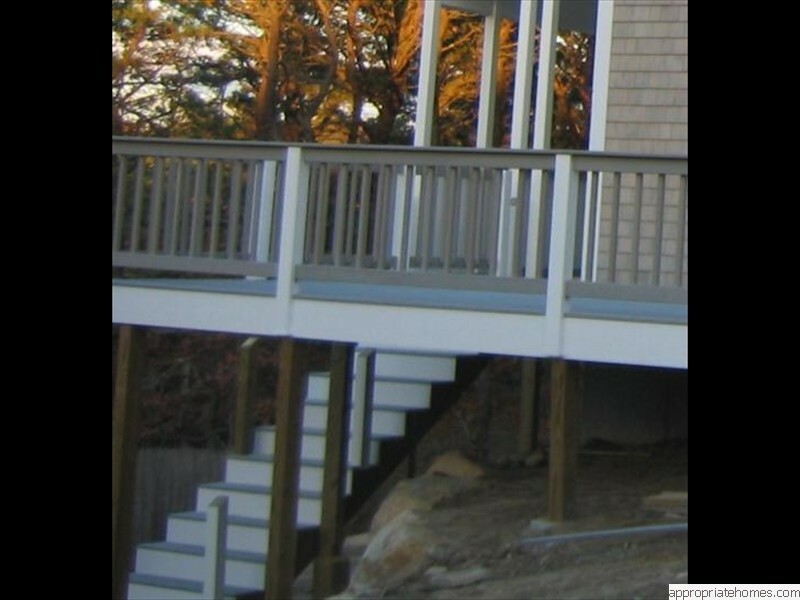 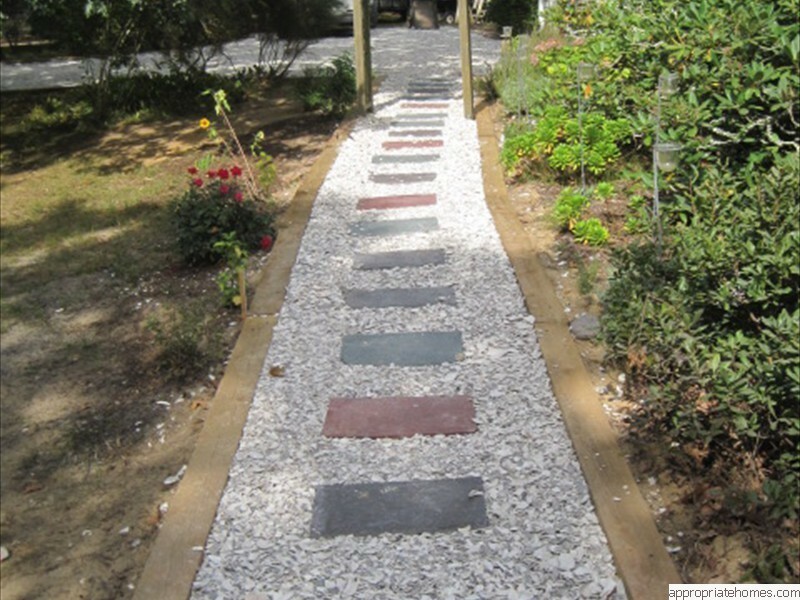 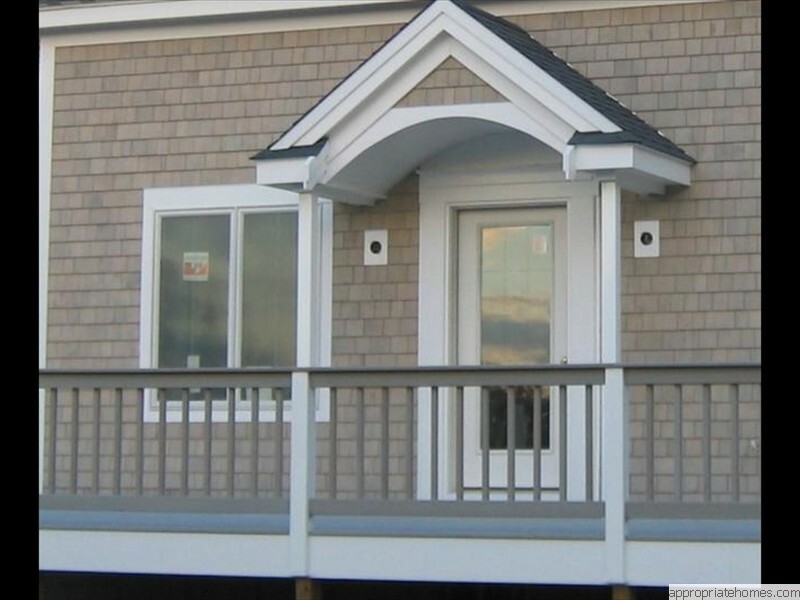 Composite used for rails and trim are more expensive than most wood, and are limited in design. 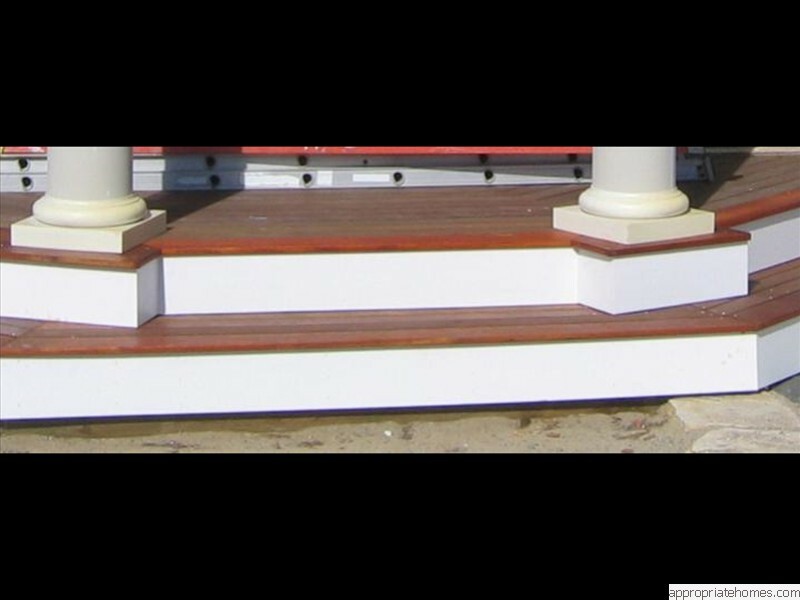 We have used cedar and vinyl rails with composite decking resulting in a vary satisfactory final product. 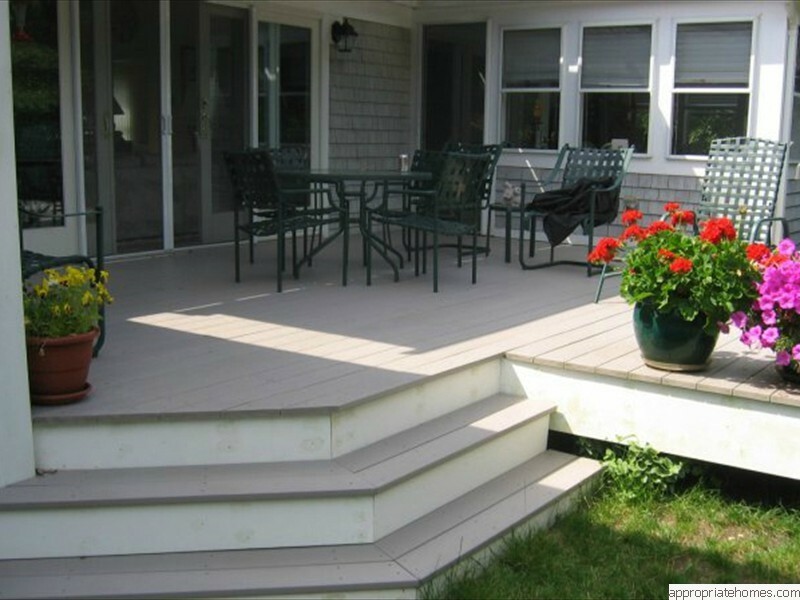 A cellular PVC vinyl decking board, it is not really a true composite, as it is all PVC but it is usually grouped with the composites. 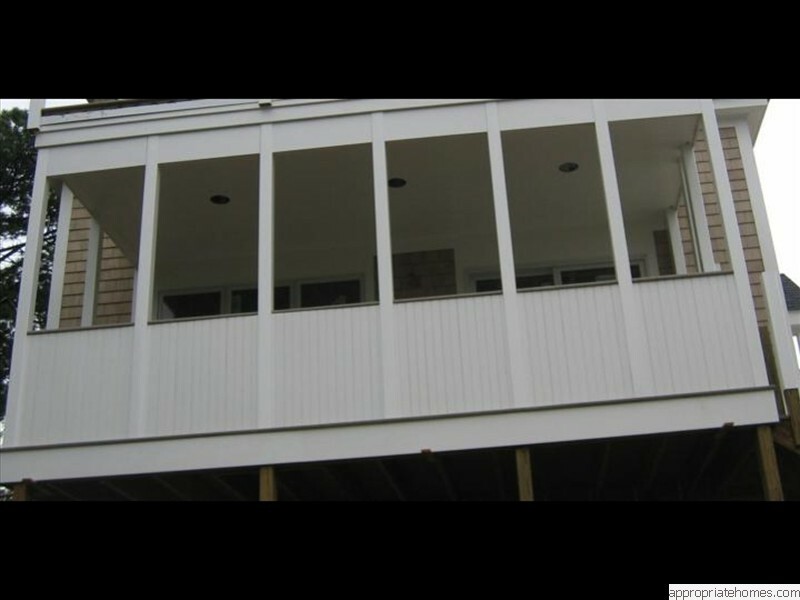 Procell (now Azek) has a hard surface with embossed grain and it is mildew, scratch, and heat resistant. 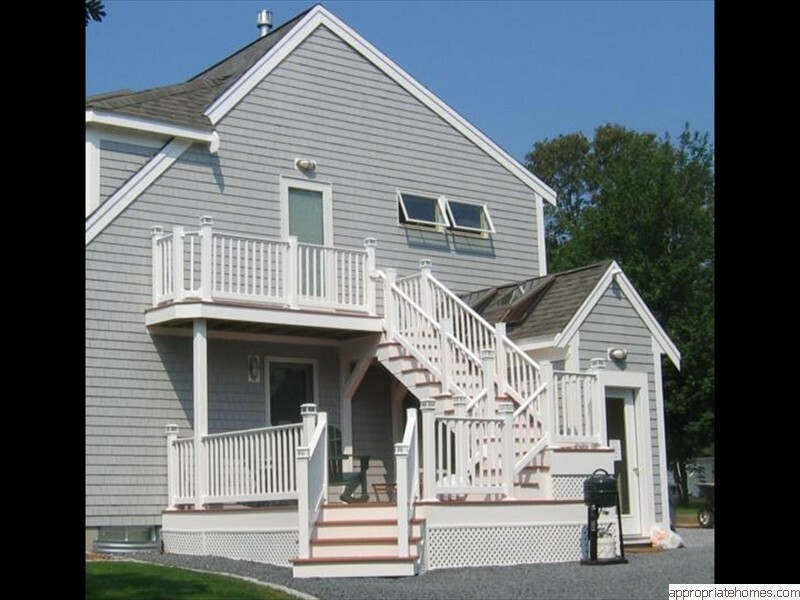 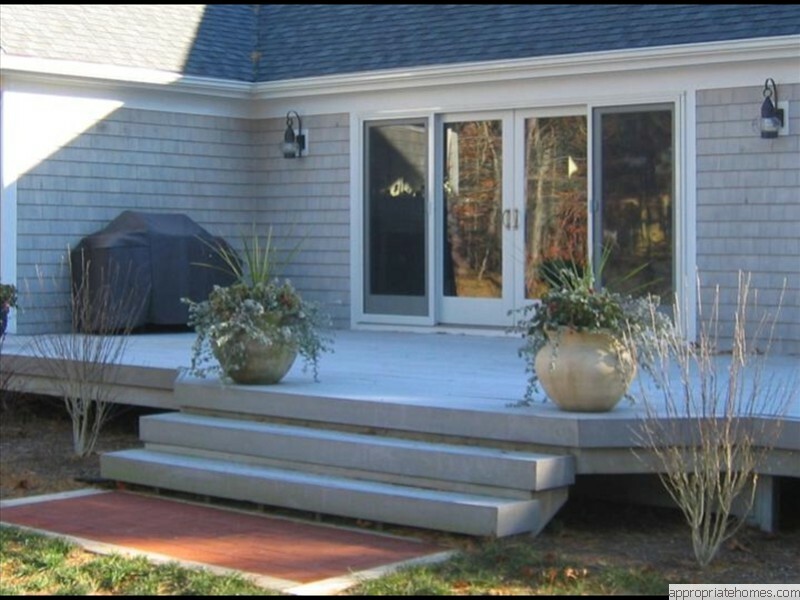 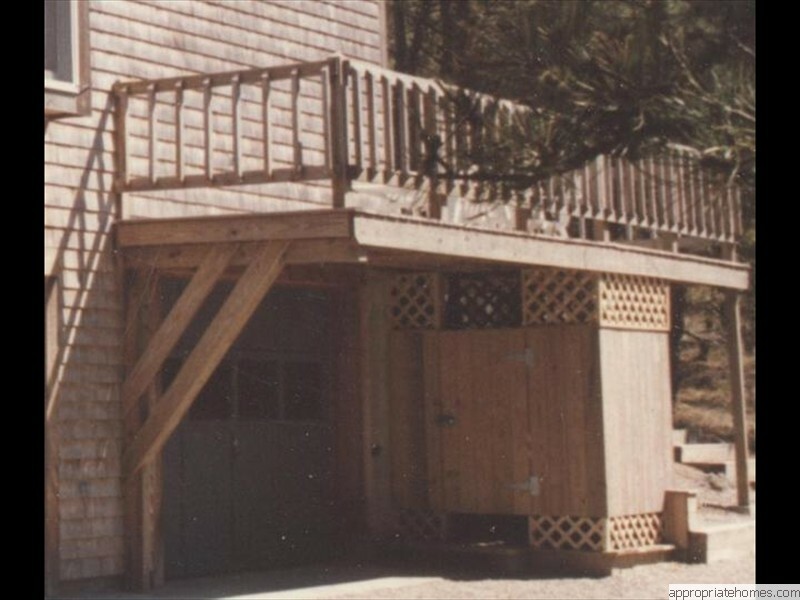 The heat resistant properties of this material make it an attractive option as the Wellfleet summer sun can really make some decking products hard on the feet. 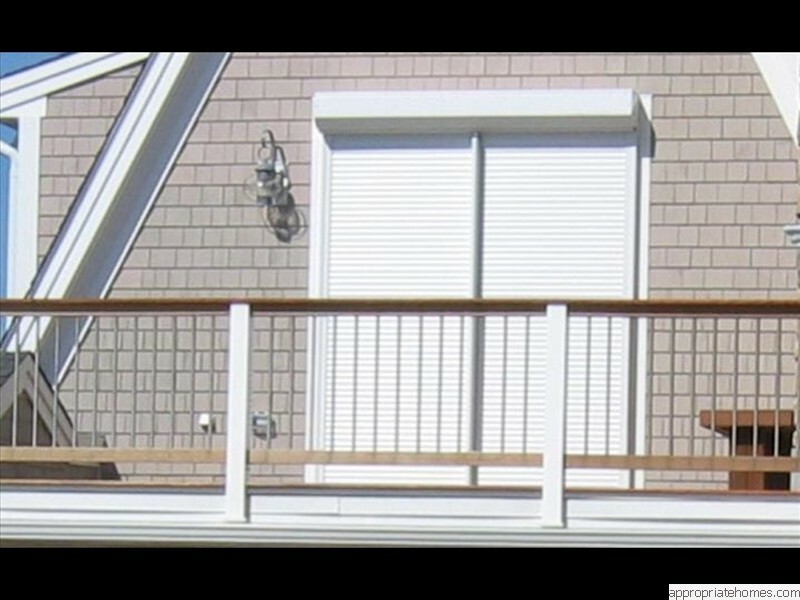 It is lightweight and strong, fastens very easily and snugly and comes in several pastel shades of colors which can fit many needs. 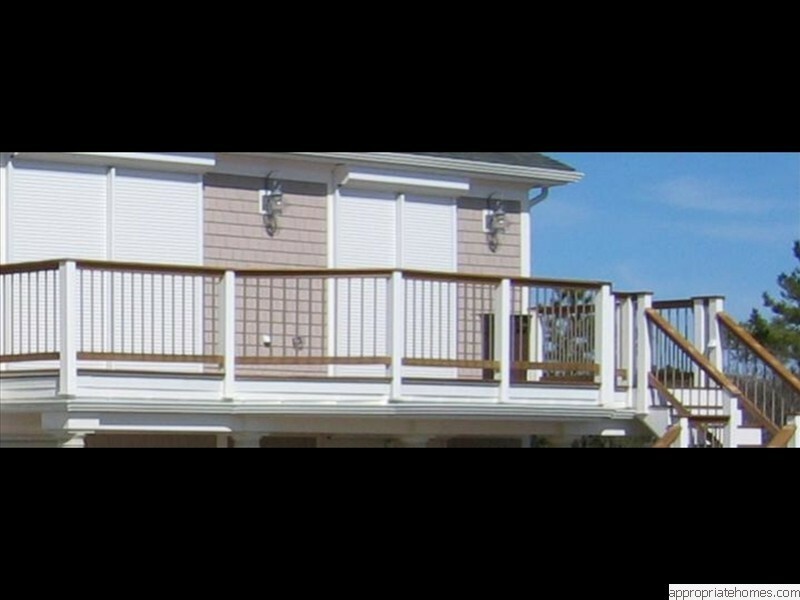 We like that pastel look with white rail, trim, and white cross lattice hiding the area under the deck. 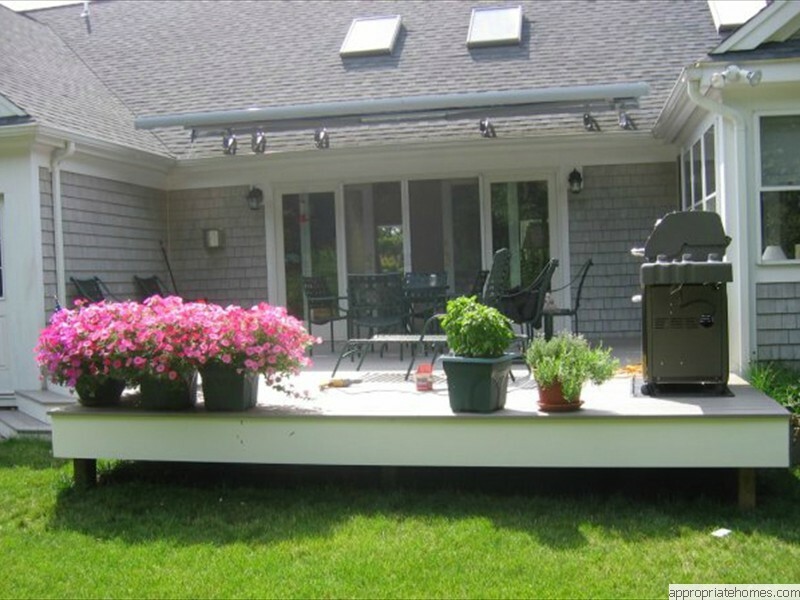 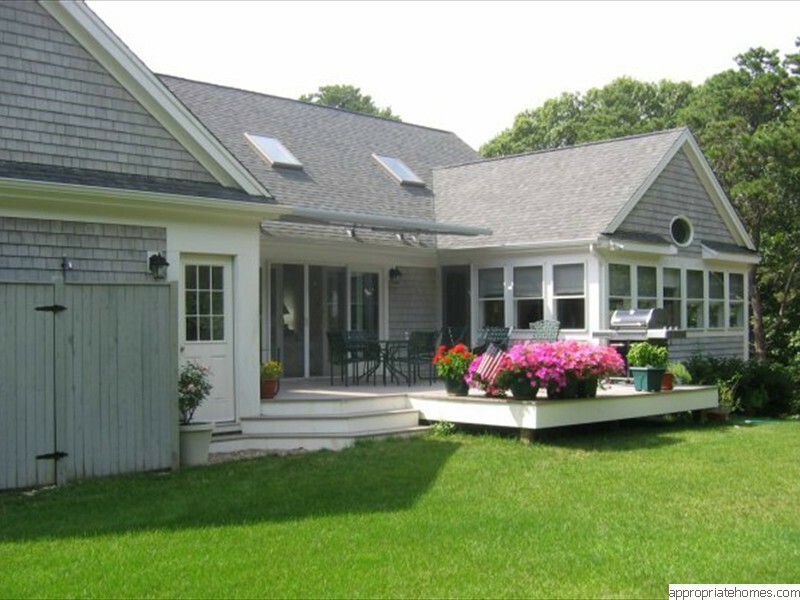 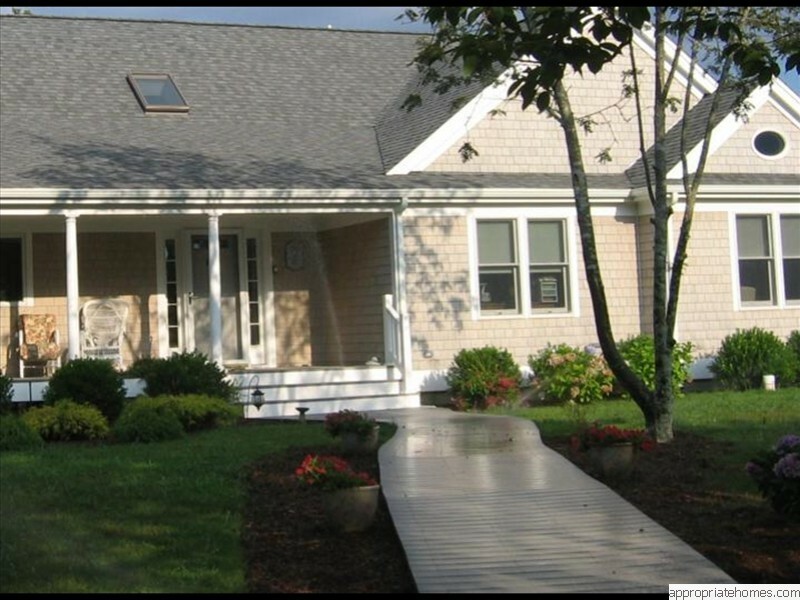 Click on any tile below for an expanded view of a deck or patio project that could possibly enhance your house on Cape Cod. 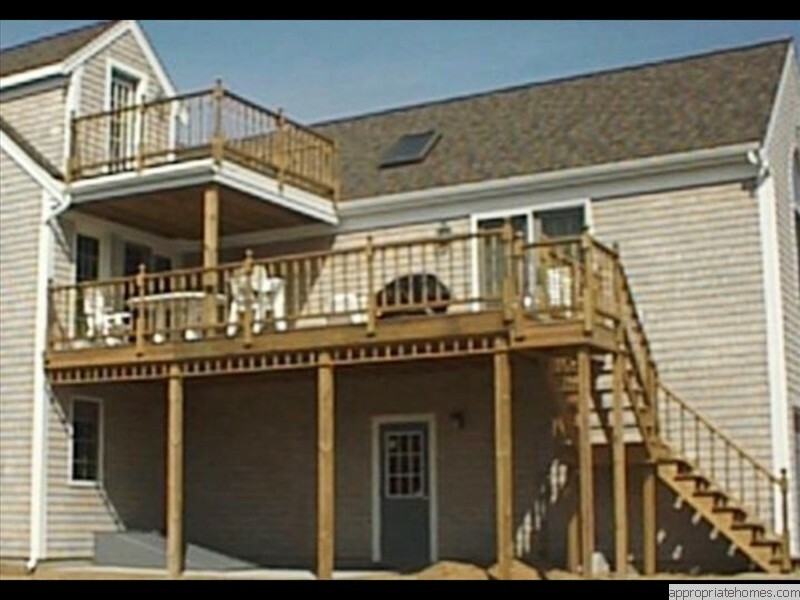 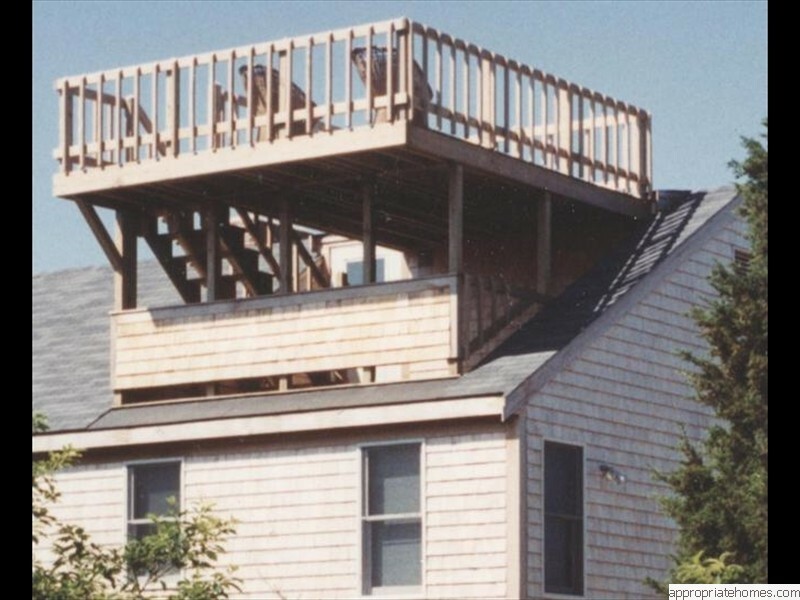 To discuss adding a deck or patio to your house or to discuss any other home improvement project call 508-737-7609 to set up a free design consultation.